$2,499 Due at Signing. *Plus tax, title, license & doc fee. 7,500 miles / year. Actual vehicle may differ from image shown. Hawk Volkswagen of Joliet, IL has new VW Tiguan lease deals available! The new Volkswagen Tiguan boasts a larger overall physique, with a longer, wider, and taller profile than its predecessor. 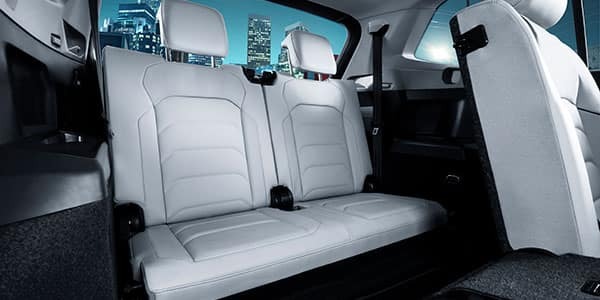 Those who travel in the new Tiguan will find abundant elbowroom, as well as an available third row bench seat allowing seating for seven. Our Tiguan specials will help get you into this spacious and family-oriented SUV for a great value, so don’t wait to claim your offer. 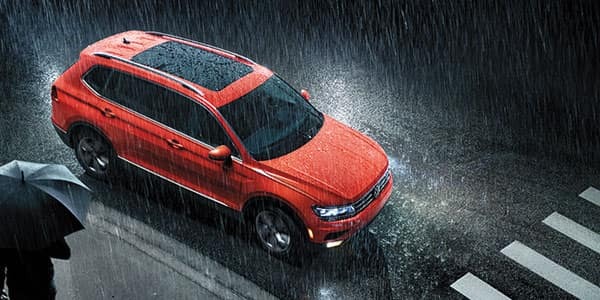 If you have any questions about our Tiguan offers, call us at (815) 741-1100. For a quick break down of the new VW Tiguan, read below. Spaciousness is found throughout the entire cabin of the Tiguan, for both people and gear. The non-third row seat model provides cargo space of 73.5 cu.-ft., 30 percent more than the old Tiguan and one of the largest in its class. The look of the Tiguan has also received an update, with neat, creased lines around the exterior of the SUV and an upscale interior with a smartly organized infotainment system. The Tiguan is powered by an updated turbocharged 2.0L TSI with 184 HP, getting 22 MPG city and 29 MPG highway. The suspension quality has also been updated, with a softer and more comfortable ride helping you navigate construction zones and nasty potholes. 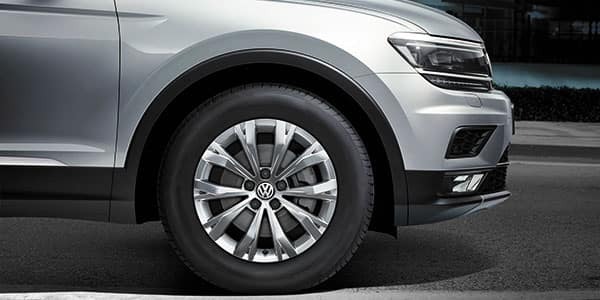 Comfort is one of the main tenants of the re-designed Tiguan, with plentiful legroom and multiple options for interior configurations. Options like a leather steering wheel, a power driver seat, heated front seats, and ambient lighting are available on higher trim levels. The new VW Tiguan features several new safety and entertainment technologies. 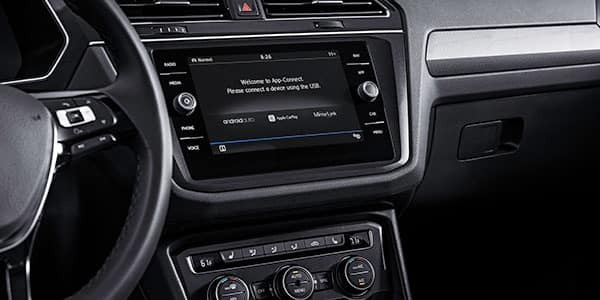 A simplistic infotainment system with Android Auto‚ and Apple CarPlay‚ comes standard, while the Volkswagen Digital Cockpit is offered on the SEL Premium trim. Safety measures such as forward collision warning with autonomous emergency braking are also standard on all trims above the base S trim. Are you interested in the new Volkswagen Tiguan? 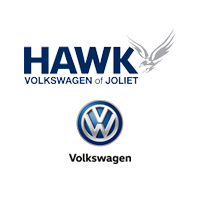 Hawk VW of Joliet, IL has new Volkswagen Tiguan special offers available now! View our inventory or contact us directly to discover more about our Tiguan deals. Take advantage of our Tiguan specials and drive off in a new VW today!